Your kitchen is one of the most used spaces in your home. 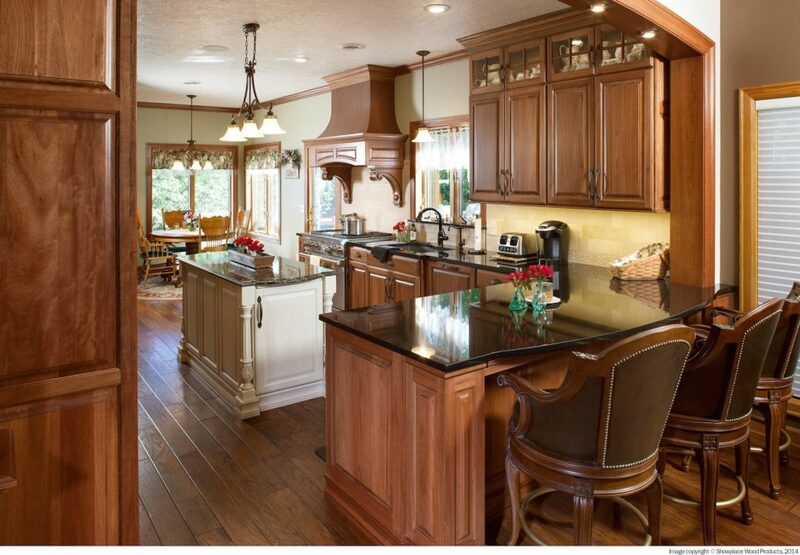 Once you’ve made the decision to remodel, you will have many kitchen remodeling design choices to make. So, where do you start and what styles are available? Before you begin looking at cabinets, tile, countertops, flooring, etc. you need to do a little research. Figuring out what style you most like for your kitchen remodel is very important. There are several categories and even sub-categories of kitchen styles and we are going to take you through the three most popular. Let’s look at a few kitchen styles for you to consider for your remodel. Traditional kitchens are sometimes thought of as old world or heavy. Although we have seen this style wane in the last five years with the emergence of the transitional style kitchen, traditional kitchens will always be a staple in the kitchen design world. Traditional kitchens are very easy to identify. Think of the 180 degree cousin of the contemporary kitchen. Traditional kitchens feature heavy mouldings and carvings, dark and/or painted woods, cabinet doors with a lot of detail. Natural materials are a big feature of a traditional kitchen. The color palette can be neutral, but most traditional kitchens feature one or two strong colors. A key feature of the traditional kitchen is making the cabinetry look “built-in” or like furniture pieces even disguising the appliances with wood panels applied to the fronts. Contemporary is mostly noted by clean or sometimes hard lines, shiny or graphic materials, minimal cabinets. Open shelving is usually a very prominent feature. The contemporary kitchen design has a lot of features that are often called “European style”. Metal features are often used a lot in contemporary kitchens. Base cabinets do not have a traditional toe-kick and may rest on metal legs. Contemporary kitchens use the slab door style almost exclusively. Contemporary kitchen styles usually are very minimal in color or display one major color throughout the design. Transitional is a blend of both contemporary and traditional. It combines the clean line, sleek look of a contemporary kitchen but adds in the warmth of a traditional kitchen. The transitional kitchen is considered the moderator because of how it balances the two styles together. This style is great for those couples that may have two very different tastes. Some key features of a transitional kitchen are clean line cabinets but not as hard line as contemporary. They usually feature a variation of a shaker door and are made of wood instead of a high polished or textured material. The general color palette for a transitional kitchen is neutral with pops of color or graphics brought in. Transitional kitchens also blend natural material (like wood and stone) with manmade materials (like stainless steel appliances). They sometimes offer a simple corbel or texture to break up the lines.